Proven logistical vehicle capable of carrying 10T. Versatile; can be fitted with a range of load bodies. •	Choice of Load Bodies. 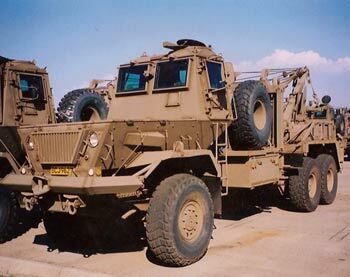 The Samil 100 Kwevoel Armoured Truck is based on the Samil 100 and was originally produced for the SADF (South African Defence Force). The Defence Force is currently refurbishing its fleet of Samil 100’s for future use. The Samil 100 Kwevoel is a versatile vehicle suitable for bulk logistical work in areas where land mines present a hazard. It can carry 10 tons off-road, and on-road pull another 10 tons. Like the other Samil trucks it can be fitted with various load bodies to carry either cargo, fuel or water, or as a recovery unit.